Capturing the spirit of winemaking on a digital platform. Misty Valley is a New Zealand company that nurtures grapevines and provides them to vineyards throughout the country. 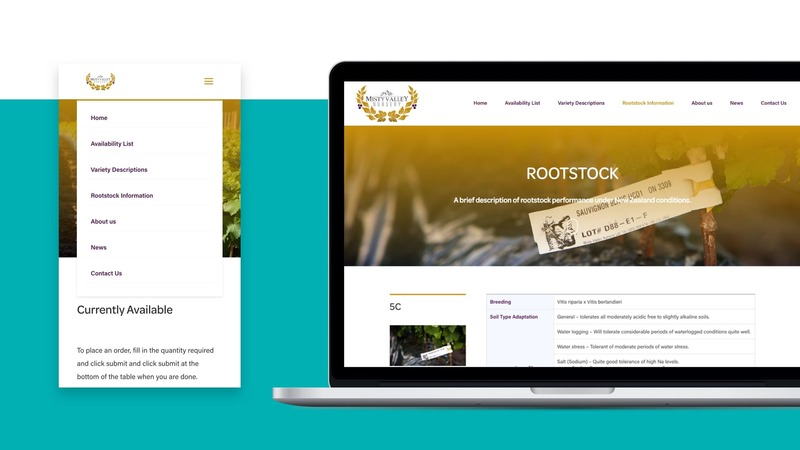 When they asked us to build their website, we knew it would need to appeal to a very specific demographic: professional, no-nonsense, and passionate about winemaking. Scrolling should be as enjoyable as walking through a vineyard. With warm colours, rich imagery, and a clear header above the fold, we ensured that visitors to the website would immediately understand – not just intellectually, but viscerally – what Misty Valley is offering. 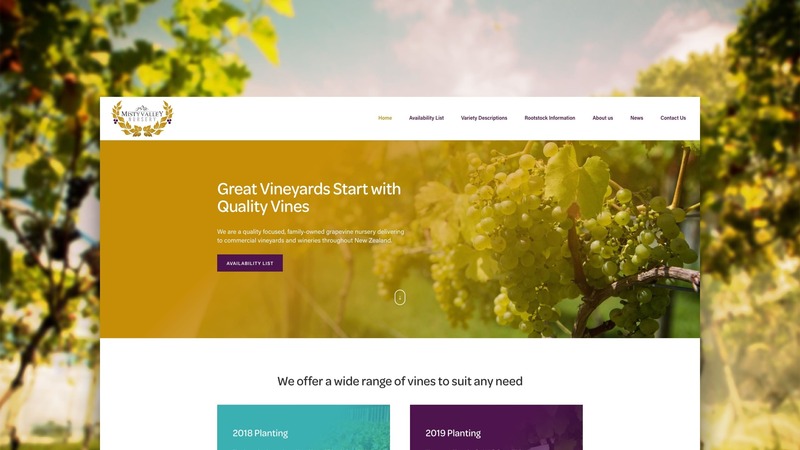 Rather than adding lots of bells and whistles, we knew it was important for the website to encapsulate the company’s simple professionalism and dedication to viticulture. The process for making bulk grape vine orders online has the potential to be quite complicated. Our developer and designer worked together to create a seamless, straightforward purchasing process. 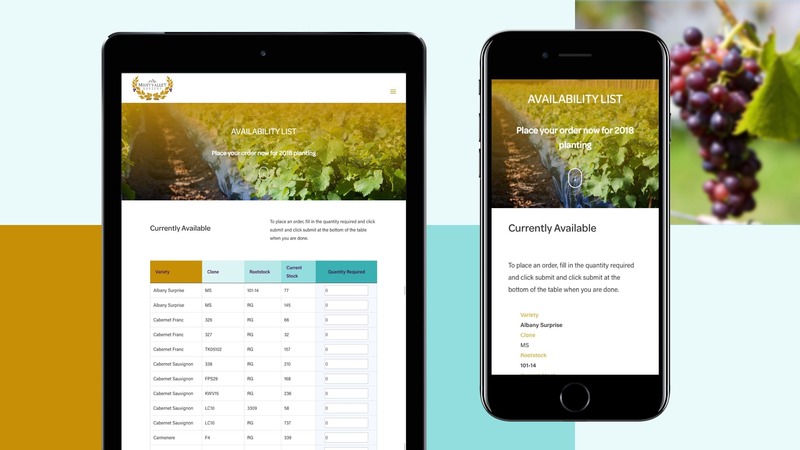 It allows visitors to see at a glance the key info about each vine, and select a variety of individual quantities – all on the same page. … and ensured it’s fully responsive. Whether you’re on a computer, a tablet, or a mobile, you’ll find the browsing and purchasing experience equally straightforward. The navigation bar, too, changes shape completely depending on the type of screen you’re using. This degree of responsiveness is absolutely crucial for modern Ecommerce websites.